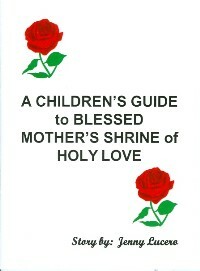 Booklet: "A Children's Guide to Blessed Mother's Shrine of Holy Love". 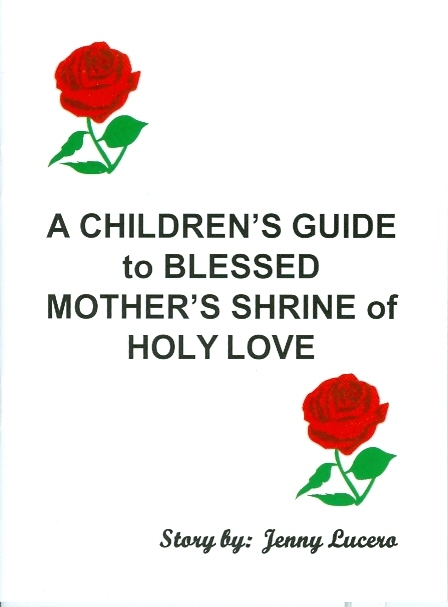 Booklet: A Children's Guide to Blessed Mother's Shrine of Holy Love. A beautiful booklet for children with illustrations to introduce Our Lady as Mary, Refuge of Holy Love and our Mother. The booklet explains how we receive an extra angel from visiting Maranatha Spring and Shrine and introduces children to the miraculous water in the Lakes and Spring on the property. Many adults also enjoy this booklet. Front cover measures 4.5 x 6 in. Softcover. 20 pages.